Ta this page for Planning & Development Department Gilgit Baltistan Jobs 2019 Application Form Download | www.ctsp.com.pk. 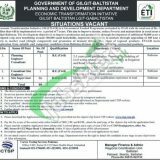 The Planning & Development Department of Gilgit Baltistan is looking hire the individuals for the projects named as “Economic Transformation Initiative” and the vacancies are given below. Jobs in Planning & Development Department Gilgit Baltistan are (Planning Engineer Consultant, Consultant Site Engineer, Site Supervisor). Appointment of these positions will be on a contract basis and the duration of the contract is extendable on satisfactory performance of an individual. Applicants willing to apply should possess BE Civil / DAE Civil as per the demand of vacant positions and detailed eligibility criteria can be examined from the following image posted below. Earlier for the residents of GB the Gilgit Baltistan Secretariat Jobs 2019 was also announced and it can also examine from our site. Please download the application form along with the prescribed test fee deposit slip from a CTSP website such as www.ctsp.com.pk. 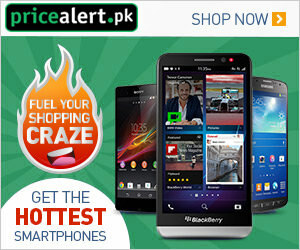 Pay the fee in any online branch of HBL, UBL & KCBL. Fill the application form and submit it along with 3 coloured photos, a copy of CNIC, and paid deposit slip to CTSP Headquarters Office No. 802, Main Double Road D-12/2, Islamabad. Last Date For Apply: April 03, 2019. Address: CTSP Headquarters Office No. 802, D12/2 Main Double Road Islamabad.